This training will invite participants to engage in the process of selfreflection and experiential learning. We can only accompany our clients as far as we have gone ourselves. The Memorandum of Understanding on Conversion Therapy v.2 signed by all the leading therapy bodies in 2018, makes specific requirements and obligations concerning training. We shall explore how we as therapists should respond to requests to change gender and sexuality when coming from deeply conflicted members of the community. 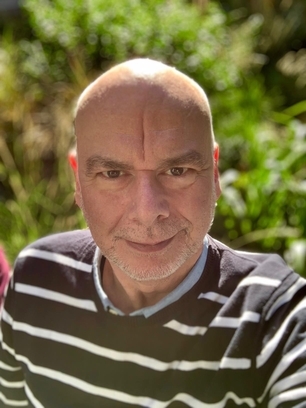 Dominic Davies is the Founder of Pink Therapy and has been working as a counsellor, psychotherapist, clinical supervisor and clinical sexologist for over 35 years. He has published extensively in this field and delivered training across the world. He currently directs a twoyear Postgraduate Diploma in Gender, Sexual and Relationship Diversities Therapy and a one-year Foundation Certificate which are primarily studied online. Dominic was appointed Ambassador for GSRD to the National Counselling Society, where he is also a Fellow registrant. Dominic Davies is Founder and CEO of Pink Therapy (www.pinktherapy.com). He has worked as a psychotherapist, clinical sexologist and practice consultant for over 35 years. He was initially trained in the Person-Centred Approach by Dave Mearns, Brian Thorne and Elke Lambers, alongside a strong psychoanalytic supervisory frame from Michael Jacobs and the late Bernard Ratigan. He now works integratively combining PCA with energy psychology and attachment theory.